It’s been an incredible 20 year journey for The Kennedys and 2015 promises to be an extra special anniversary one. Not only do Pete and Maura have solo albums about to hit the market, but a new duo record lands in the UK in April to give folks a timely reminder as to why this husband and wife team embody all that’s pure and cultured about Americana music. 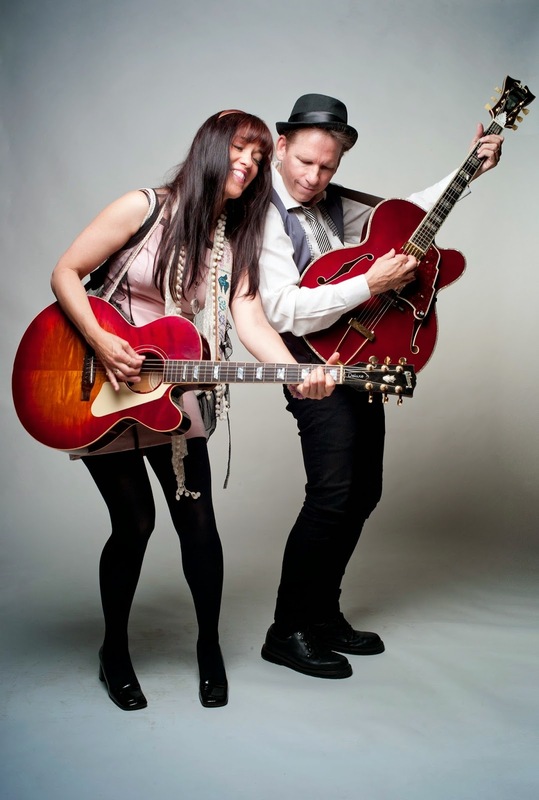 Whether dabbling in folk, rock or country, with either a contemporary or traditional twist, The Kennedys continue to impress and WEST tees them up for another, no doubt successful, tour of the UK in April and May. Naming a record after a navigational point suggests a travelogue element within its content and WEST doesn’t disappoint when criss-crossing the American continent honing in on clear regional sounds. For artists who have been synonymous with their roles within Nanci Griffith’s backing band, it is pleasing to get another opportunity to check out their own compositions. The new album is packed with an abundance of interesting songs executed with fine precision whether focussing on Pete’s extraordinary guitar playing or Maura’s warm welcoming vocals. All but two tracks have surfaced from the song writing well of the pair with the exceptions being the John Wickes penned ‘Perfect Love’ and a tribute to John Stewart by covering ‘Queen of Hollywood High’. These two songs represented the extremities of the album’s westward drift with the John Stewart song possessing all the class of the Californian song writing tradition and the other tune drenched in 12 string jangle reminiscent of that iconic west coast sound. Fans of The Kennedys will be well versed in the romantic story of them strategically re-igniting their relationship in Lubbock, Texas and they once again re-create the Buddy Holly sound in the fantastically alluring song ‘Locket’. On an album of endless highlights the lovely chorus adorning ‘Southern Jumbo’ hits a peak as this co-write wonderfully merges the two contrasting themes of southern cooking and Gibson guitars. While drawing influence from the nation’s steamier states, a pair of rockin’ roots numbers form a splendid mid album partnership. ‘Bodhisattva Blues’ possesses a heady mix of gospel and Doc Watson, while ‘Travel Day Blues’ is pure rock n’ roll, a playing style Pete excels at. 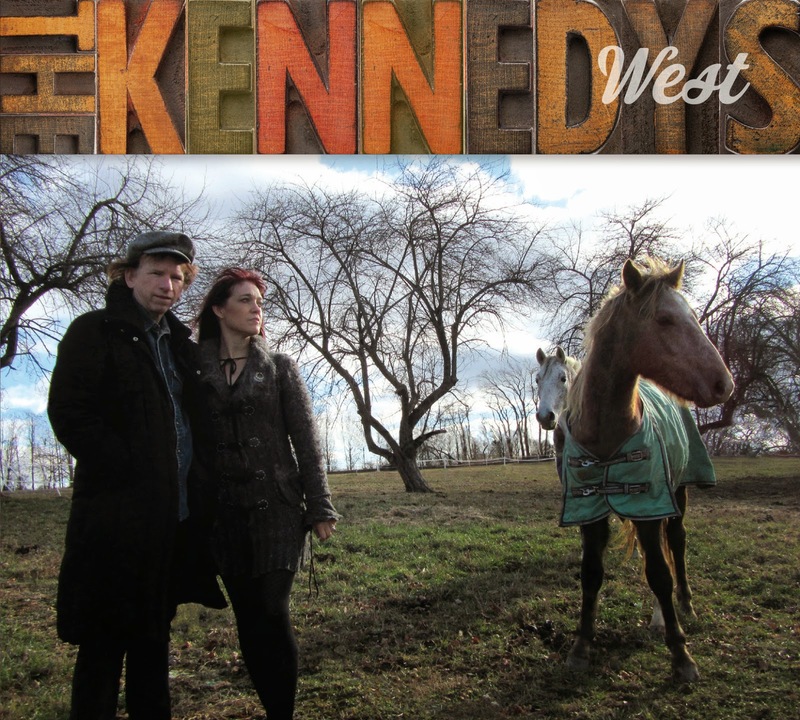 The Kennedys are a New York based band and are keen to explore a folk sound more akin to the north eastern part of the country. The two explicit offerings on the album perfectly suit Maura’s vocal style. With its theme of going back to nature, ‘Signs’ leads the record in an earthy direction, which turns more mystical with ‘Black Snake White Snake’. This dose of fantasia is inspired by the works of B.D. Love, a poet Maura further explores on her upcoming solo project. While the former is Maura’s only solo write on the album, there is an enhanced female presence and charm to ‘Sisters on the Road’. This track sees guest harmonies from a number of singers including folk artist Tracey Grammer. On this self-produced record, Pete flits right across the instrument spectrum from his trademark guitar, through various other string work as well as the organ segments. He is also the sole composer of the album’s intrinsically placed opening and closing songs. Title track ‘West’ gets the process underway with a nod in the sleeve notes to Woody, Willie, Hemmingway and Steinbeck, four highly appropriate travelling heroes. As if to make the record the perfect anniversary gift, the beautiful Everly Brothers inspired parting shot, ‘Good, Better, Best’ sees Pete seal his feelings for Maura in the art of song. The two remaining tracks perhaps suffer from being in the company of superior others but ‘Elegy’ and ‘Jubilee Time’ may well evolve over time or get further scrutiny by being added to the set list for the live shows. Without resorting to the negative connotations of the term ‘easy listening’, WEST is a highly enjoyable album which is easy to listen to and enables you to appreciate the combined talents of Pete and Maura. The Kennedys also present an exceptional live show when they visit the UK and the extra ingredient of a fresh and vibrant new album bodes well for this year’s performances.